The box itself becomes a stand. It is our original idea. The package has a hole at the drawer end, from which our bag wafer paper can be inserted. 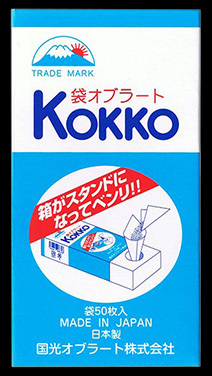 Thus the wafer paper can be placed on the box, and it is easy to use. Since the wafer paper is stable in the package, you can freely use your hands when taking medicine. It is easy to use even when there is only a small area, and it is also good for carrying things as well. 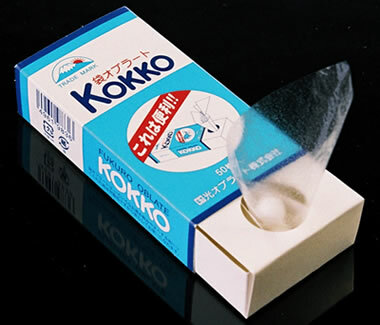 As seen in the photograph, there is a hole for inserting a bag wafer paper in the inner box of the package. 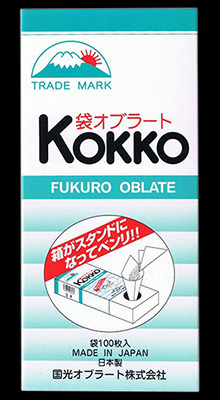 The box becomes a stand and the bag wafer paper is stabilized when inserted there so it is easy to use.